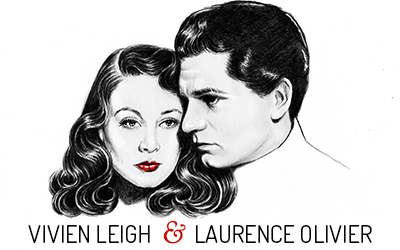 In December 1946, Vivien Leigh and Laurence Olivier were chosen by Strand magazine in London to contribute literary quotes from their personal Commonplace Books. Commonplace Books (commonly referred to today as “inspiration journals”) are blank notebooks that differ from traditional diaries in that they’re not meant to record life events in a chronological order. Rather, they’re a random hodgepodge of thoughts, quotes and passages from books, sketches, recipes, etc. that made an impression in the moment. Strand printed a running series called “The Commonplace Books of…” where “Every month [they] publish quotations from the Commonplace Books of people whose names you know and whose wide reading you envy.” While the choice of works the Oliviers quote from may seem familiar from what we have read about them in biographies, what is interesting is what these particular quotes reveal about their individual personalities. To me, Vivien seems like a dreamer, whereas Larry Olivier comes off as a romantic. As long as he lived, he was the guiding star of a brave nation, and when he died the little children cried in the streets. Mr. and Mrs. James (Miss Fullers that was), came to meat-tea, and we left directly after for the Tank Theatre. We got on a bus that took us to King’s Closs, and then changed to one that took us to the Angel. Mr. James each time insisted on paying for all, saying that I had paid for the tickets and that was quite enough. We arrived at the theatre, where, curiously enough, all our bus-load except and old woman with a basket seemed to be going in. I walked ahead and presented the tickets. The man looked at them, and called out “Mr. Willowly! Do you know anything about these?” holding up my tickets. This was humiliating enough, and I could scarcely follow the play, but I was doomed to still further humiliation. I was leaning out of the Box, when my tie – a little black bow which fastened on to the stud by means of a new patent – fell into the pit below. A clumsy man not noticing it, had his foot on it for ever so long before he discovered it. He then picked it up and eventually flung it under the next seat in disgust. What with the Box incident and the tie, I felt quite miserable. Mr. James, of Sutton, was very good. He said: “Don’t worry – no one will notice it with your beard. That is the only advantage of growing one that I can see.” There was no occasion for that remark, for Carrie is very proud of my beard. To hide the absence of the tie I had to keep my chin down the rest of the evening, which caused a pain in the back of my neck. Shall upon their children be. …. The coaches rattled back to Mr. Pickwick’s to breakfast, where little Mr. Perker already awaited them. Here, all the light clouds of the more solemn part of the proceedings passed away; every face shone forth joyously, and nothing was to be heard but congratulations and commendations. Everything was so beautiful! The lawn in front, the garden behind, the miniature conservatory, the dining-room, the praying room, the bedrooms, the smoking room, and above all the study with its pictures and easy chairs, and odd cabinets, and queer tables, and books out of number, with a large cheerful window opening upon a pleasant lawn and commanding a pretty landscape, just dotted here and there with little houses almost hidden by trees; and then the curtains, and the carpets, and the chairs, and the sofas. Everything was so beautiful, so compact, that there really was no deciding what to admire most. And in the midst of all this stood Mr. Pickwick, his countenance lighted up with smiles, which the heart of no man, woman, or child could resist: himself the happiest of the group, shaking hands…over and over again with the same people, and when his own were not so employed, rubbing them with pleasure; turning round in a different direction at every fresh expression of gratification or curiosity, and inspiring everybody with his looks of gladness and delight. Then tell me, O Critias, how will a man choose the ruler that shall rule over him? Will he not choose a man who has first established order in himself, knowing that any decision that has its spring from anger or pride or vanity can be multiplied a thousand fold in its effects upon the citizens? Mangling by starts the full course of their glory. And of it left his son imperial lord. Seals of love, but seal’d in vain, seal’d in vain. to whom it is acute, and I am thankful for it. The subject of our watch. White clouds on the wing. I enjoyed this post very much, Kendra. I always knew Vivien was extremely well-read and that she particularly loved Dickens, but I never realized she was a fan of Thomas Hardy and “Far From the Madding Crowd” . Bathsheba Everdene would have been an ideal role for Vivien. I recall reading somewhere that a film starring Vivien and Cary Grant based on that novel had been contemplated if not actually planned in the mid-1940’s. Too bad it never came off. Still, it’s interesting to learn that that she had an actual affinity for the book (and one would assume the character of Bathsheba). All of the passages she chose as meaningful to her give great insight into her values and character. We always knew that there was a great deal going on behind that beautiful face, but this post of yours proves the point even further! Is this section about books the two liked to read or about books about the two ? 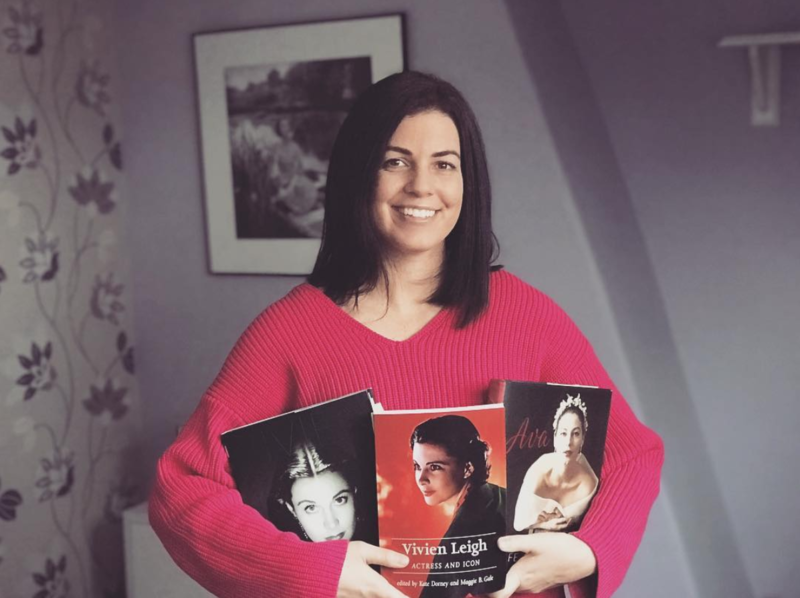 Anyway Kendra, I wondered what you thought of the biography VIVIEN LEIGH by Anne Edwards Kendra ? Great photos of Viv at Tickeridge Mill.